Facebook reminded me that a year ago was my first blogaversary. Honed critical thinking skills lead me to conclude that it is now my two year blogaversary. Where do the days go when they fly by so quickly? It doesn’t help that we feel like we lost about four plus months of our year to family illnesses and deaths. I’m still having a little bit of a tough time posting regularly but I’m hoping to catch up over the next week when it will be too cold for me to want to leave the house unless absolutely necessary. There are no posts about running as it’s been a year since I’ve done any. I haven’t even walked much. This needs to change and I’m hoping to find my mojo and to get moving again. I had actually registered for an event in Oct 2017, but deferred to 2018. Maybe I’ll have some “back of the pack” fodder to share, but it’s so so so hard to get moving once the inertia is gone. Wish me luck. The first post will detail what I did with the wood. 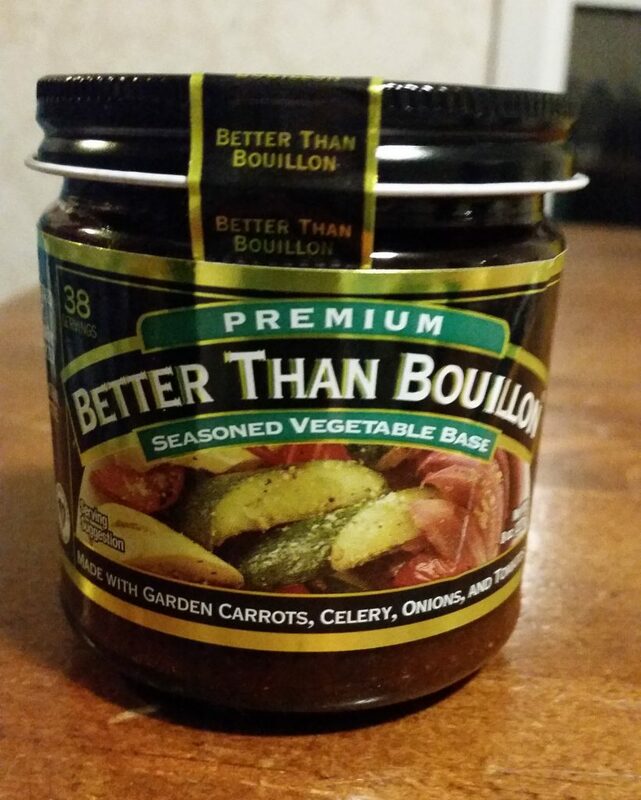 I’d also like to talk about our first go at making pickles. And this lentil stew is pretty incredible, so I’ll write more about it. I’m going to enjoy the last few days with the kiddos before my nest empties out again. I’m going to spend some more time learning about my camera. 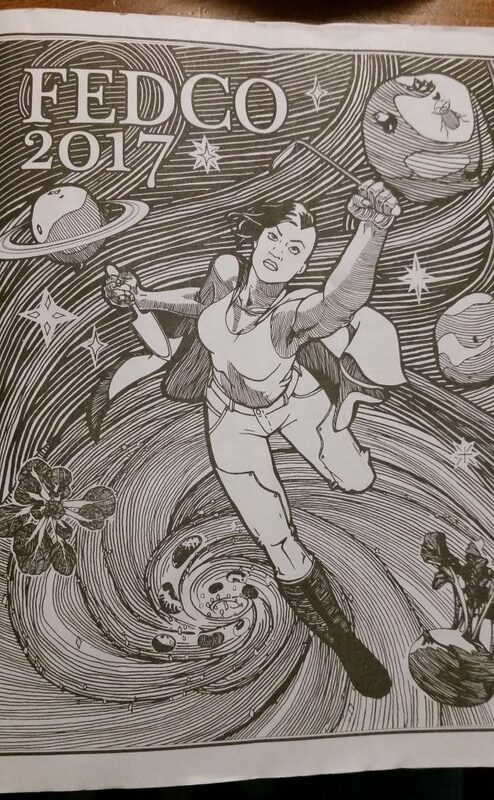 I’m going to think about goals for this blog and for me in 2018. If you are on Instagram, I tend to do a better job with (almost) daily pictures there. 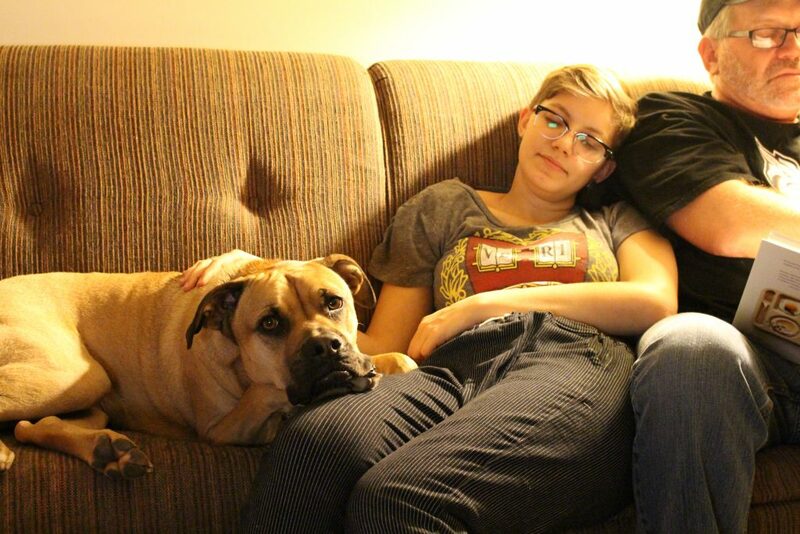 I very much appreciate those of you who visit here and follow my Empty Nest journey. A few weeks ago our neighbor dropped off a yummy treat. As soon as we tried it, I asked her for the recipe because it was amazing. Apparently, it’s an old recipe, so old that she can’t remember where it originally came from. In addition, she has tweaked it a bit, so there is no link and I am crediting our neighbor. I have now made it twice, and I tweaked it a bit too which I will mention later. I had fun trying to spread the chips and the walnuts evenly and prettily across the top. 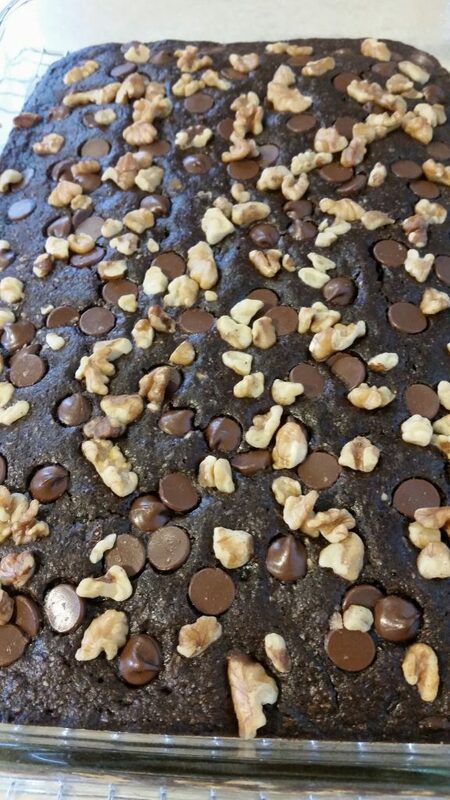 The first time I made the cake, I mostly followed the recipe, just used dark chocolate chunks in the batter vs chips. 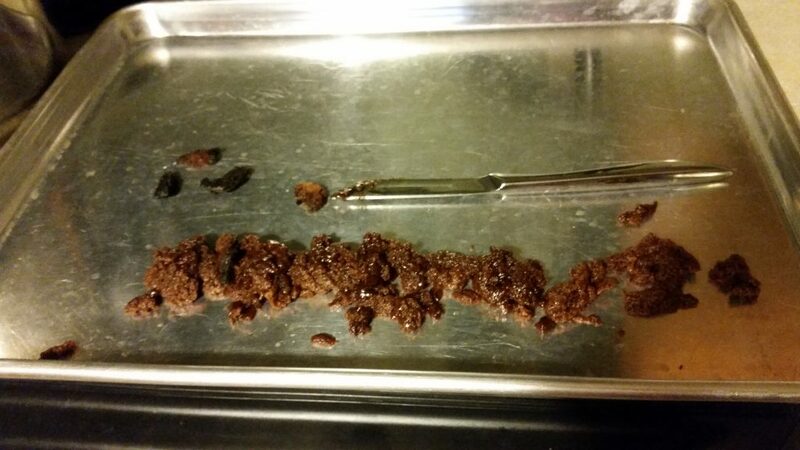 It seems to me to be fairly low in sugar to begin with, but the second time, I replaced a bit of sugar with honey, and used all dark chocolate chunks, no chips. The dark chocolate chunks from Trader Joes seem less sweet than the chips. 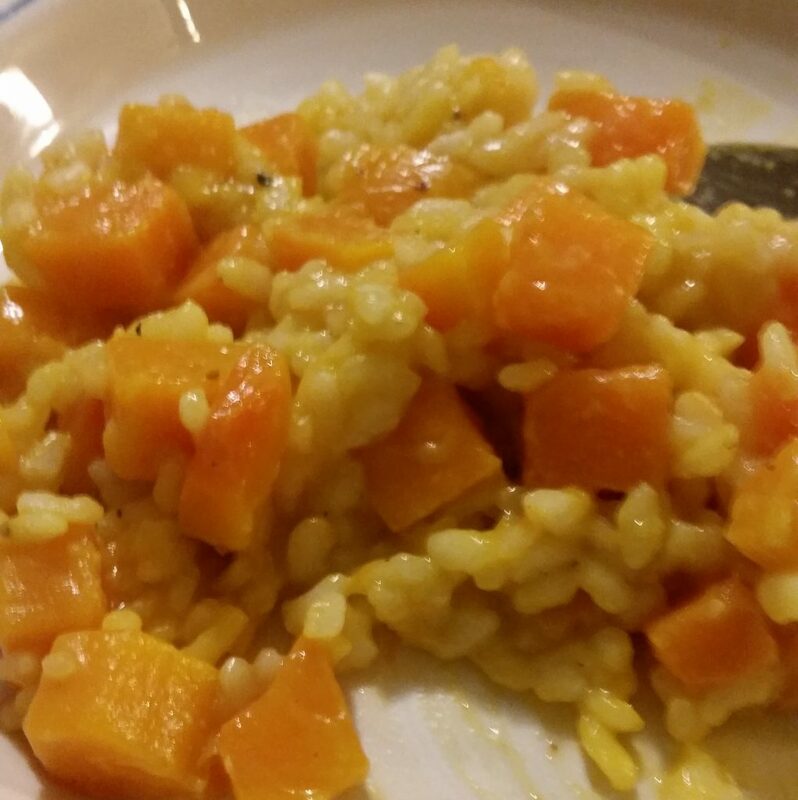 It is still delicious the second time around, even with my tweaks. I froze and mailed some of the first batch to the kiddos, hoping to get a taste test report soon. 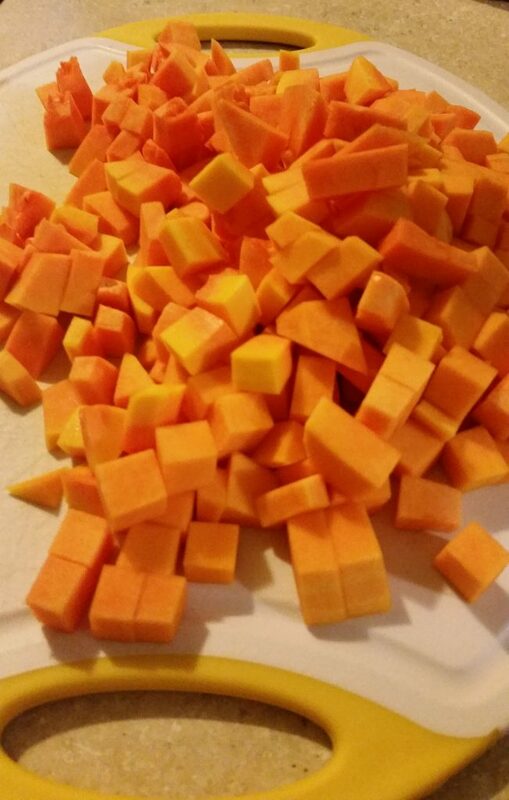 I have not yet figured out how to add recipes so that they are easily printed. SORRY!! Preheat oven to 350. In a large bowl, combine 1 3/4 cups boiling water and 1 cup of old fashioned or quick cooking oats and let stand 10 minutes. Add flour mixture and 6 oz chocolate chips. 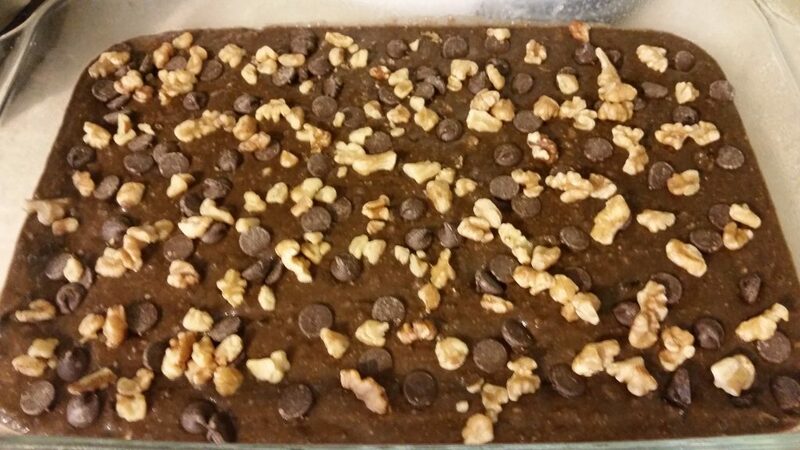 Pour into a 13″ x 9″ greased pan (I use coconut oil for greasing) and sprinkle top with 6 oz chocolate chips and 1 3/4 c chopped walnuts. Bake about 40 minutes. 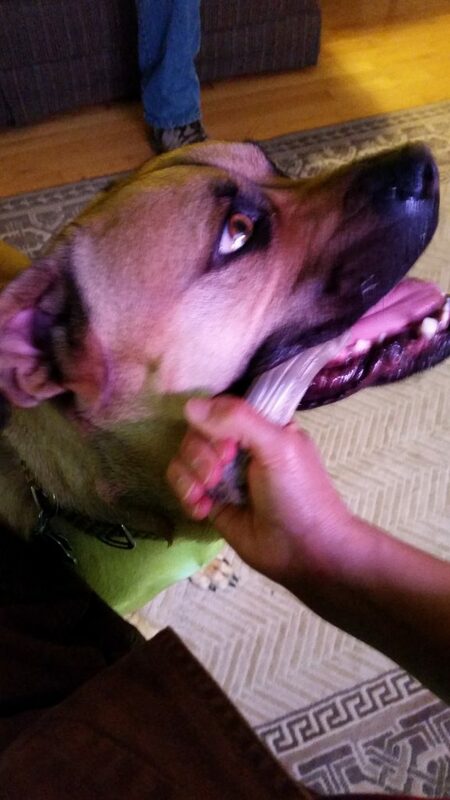 In between the baking, cooking, cleaning, volunteering for a dog rescue, blogging and yard work, I humor my spoiled empty nest pup when he wants me to hold his chew toy while he chews. I got out twice this past week for just over two miles each time. I’m trying to get back into the groove, but it is darn freaking hard. I may sign up for a half in early November to try and motivate myself to do better. I just wish I knew if it would actually motivate me, or just make me feel guilty if I don’t get miles logged. Our house is fun in that it has two furnaces. There is an oil furnace, and there is a wood/coal furnace. 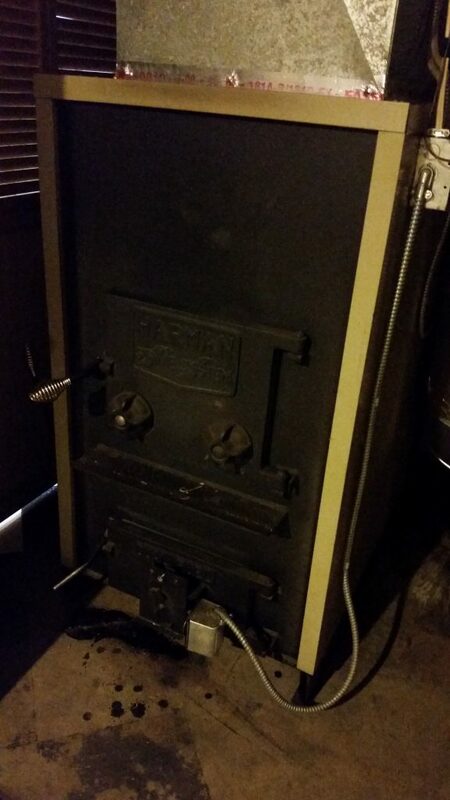 For the first few years, we only used the oil furnace. Then the cost of oil went so high that we decided to switch over to using wood once a long stretch of colder weather was in the forecast. When I say “we,” I really mean hubby, because he has done 99.9% of the wood furnace work. I gained a greater appreciation a few weeks ago, when he was out of commission and I took over the wood furnace responsibilities. 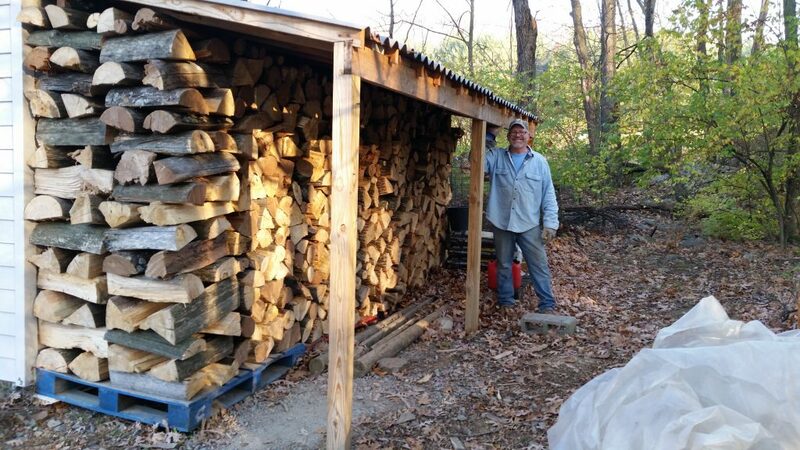 I have helped out here and there by loading wood mid day, and by helping with the wood pile a bit in the Fall, but that’s it. You may remember the pictures I shared a few months ago. The first thing is, if we are using the wood furnace, it is COLD out. The (large/heavy) pieces of wood need to go from the wood shed in the pic right above, to the bottom of the outdoor stairwell. Let me tell you, it’s a workout to carry all those pieces of wood down the steps. I was moving 30 ish pieces every day and a half and most of the time, I carried one piece of wood at a time because I didn’t want to fall. 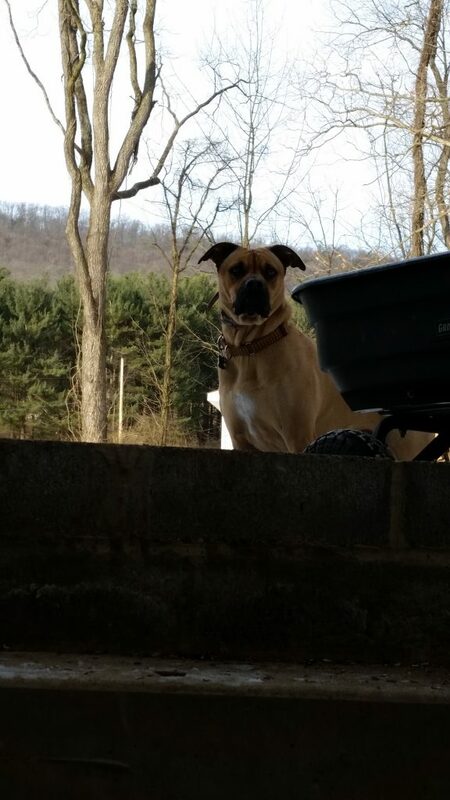 Fargo supervised and watched to make sure I was doing okay. 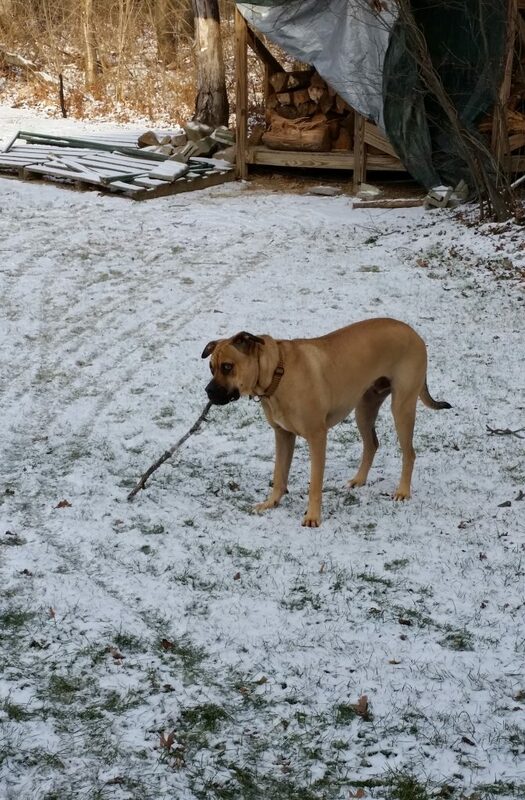 And he was very helpful by moving some sticks. 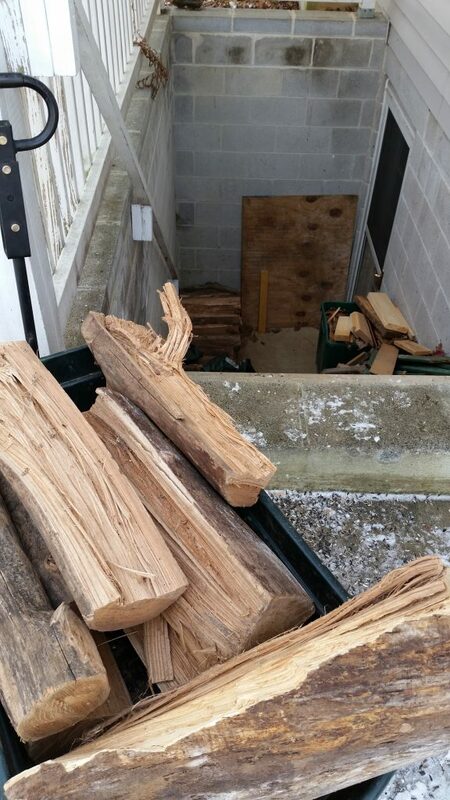 Once the wood is (not so) neatly stacked at the bottom of the steps, it’s wasn’t over. 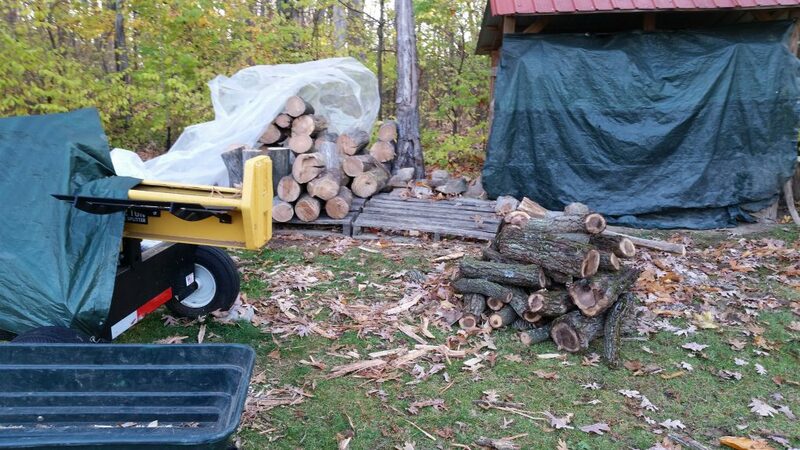 Every 6-8 hours, I needed to bring 6-7 (big/heavy) “sticks” of wood inside, one at a time to put into the furnace. Then, there is a whole process of how to open the door so that smoke doesn’t set off the alarms (still sorry girls, mom, dad and hubby about that happening at 2:30am), letting the wood burn hot, then shutting down the vents, etc. I honestly could have just shut it down and reverted to oil, but the difference in how cozy warm the house feels with the wood furnace heat vs the oil furnace heat is really pretty amazing. The floors are even warm. Thankfully, by the time the next cold snap comes through, hubby should be able to at least help, even if he can’t do it all on his own. I’ll happily help and be grateful that I’m not doing it all on my own. Side note: I ran outside this morning. The first time in way too long. One of my young, energetic co-worker friends was nice enough to plod along with me for 3.4. It was a good one. Up until the middle of October, 2016 was probably my best year of consistent running in a long time. I am proud of my accomplishments. I am not so proud that I have run about 10 miles since the middle of October…but that’s for another day. I was very dedicated in keeping a tally of my miles. I know a lot of people use a gps watch and then upload data, but I’m low tech and I wrote miles on the wall calendar. I ran 747 miles in 2016, which averages out to about 71 miles/month. I know that there are a lot of runners who log that type of mileage weekly, but it’s an average I’m proud of (in addition to being proud I kept track like I did). 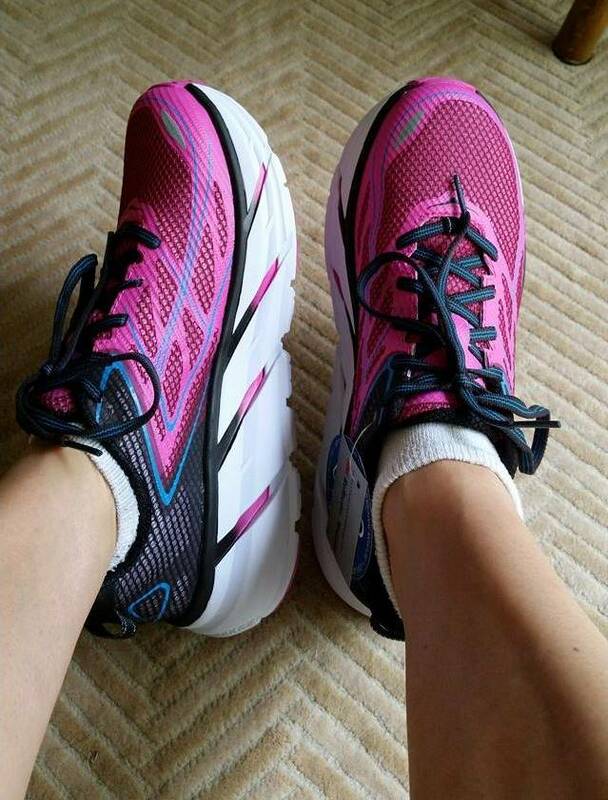 Another positive was finally getting the new Hoka Cliftons and loving them almost as much as the original Cliftons. I was so happy with them I got two pairs, which will last me a while, especially at the rate of 10 miles in 3 months. I trained for two events, the first was in April. I used a new training plan for this Half Marathon and I followed it almost exactly. It was a great day and, though it was my fifth time participating, there were unique aspects, support from the hubster and good friends, and a near PR miss. I wrote a real Race Report for the first time as well. Due to a trip out West to see the eldest, I knew that the Marine Corps Marathon was out of the picture for 2016. It might actually be out of the picture for good, though I would totally run the 10k just to be a part of the fun and to see some amazing people. Instead, I went way far out of my comfort zone and registered for a multi-run weekend. I must admit, I did not stick to a training plan like I should have, but my only goal was to finish. I wrote a Race Report for this Hat Trick weekend but could never capture how great it was and how much fun I had. If I can get myself back into the swing of things again, I would definitely consider registering again for the Hat Trick, or at least the Half or the 5 & Dime. 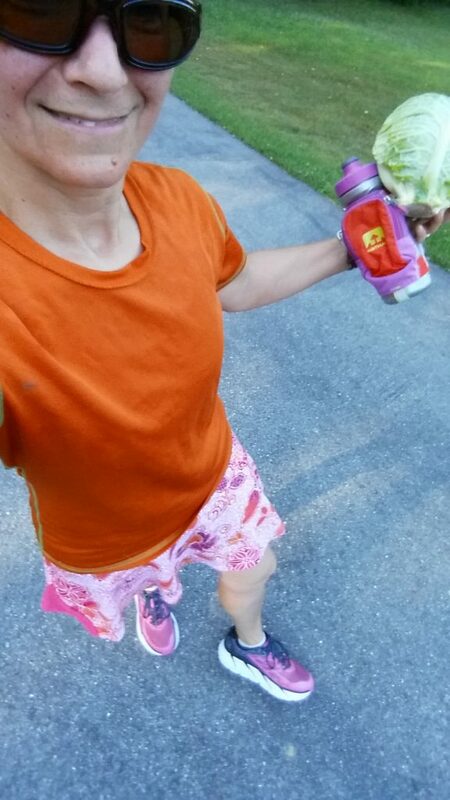 And then there was that time I came home from a run with a cabbage (wearing my sparkle skirt and new sneakers). Now it’s time to figure out what this back-of-the-packer needs to do to get moving in 2017! I just decided this morning, as I started typing, that I would include a Monthly Hobby Update this year. I’m hoping to be working on a few hobbies at any given time, though life has definitely gotten in the way the past few weeks. Mostly good derailment, some I could do without. Anyway, I’m working with the youngest on a furniture project. Given that the girls are heading out way too soon, I’m reminded that I need some things from her before she leaves so that I can get moving on it without her. This leads me to the garage project. 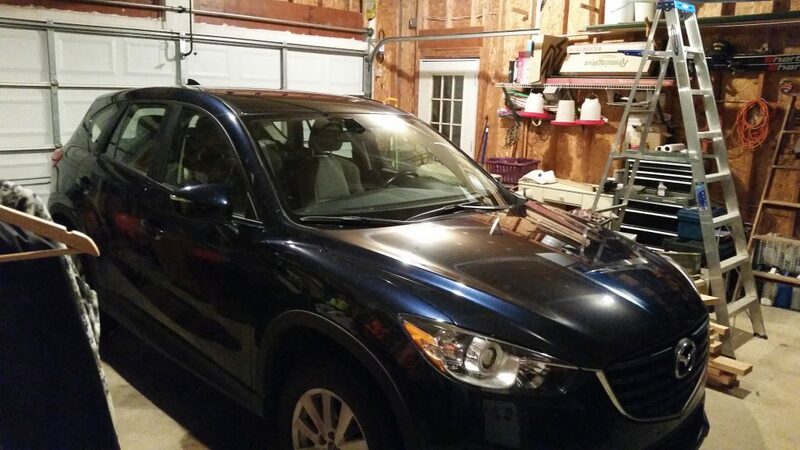 Although it’s been slow going, there has been enough progress so that the car once again fits inside. I think the next steps on the garage will likely need to wait a few months for Spring, but I am actually really pleased and I owe hubby a huge thank you for the time he has put in. 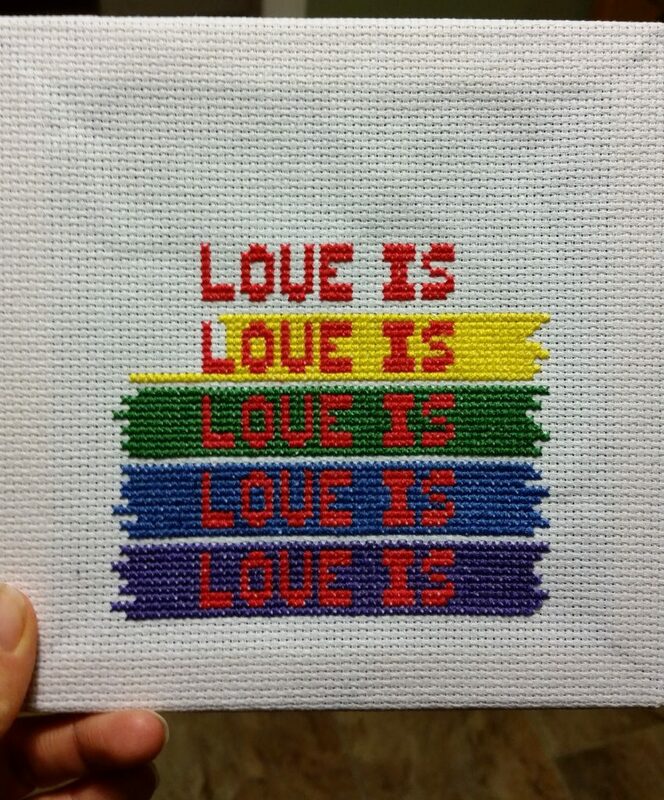 The main hobby I have been spending time on is cross stitch. I decided to make gifts for both girls and two of their close friends. I finished two, this is the third, in progress. If I were to do it again, I would do at least one thing differently. I have never before used pre-framed canvas, and, unless it is for a VERY small design, I will not use it again. Stitching, and pulling thread through at the end is incredibly difficult near the edges. I have inadvertently stretched the canvas in a few small areas. It seemed like a great idea when I saw them at the store, but not so much in reality. I keep looking at the bags full of yarn every time I walk by them, so I think I will attempt a knitting project next after the cross stitches are finished. 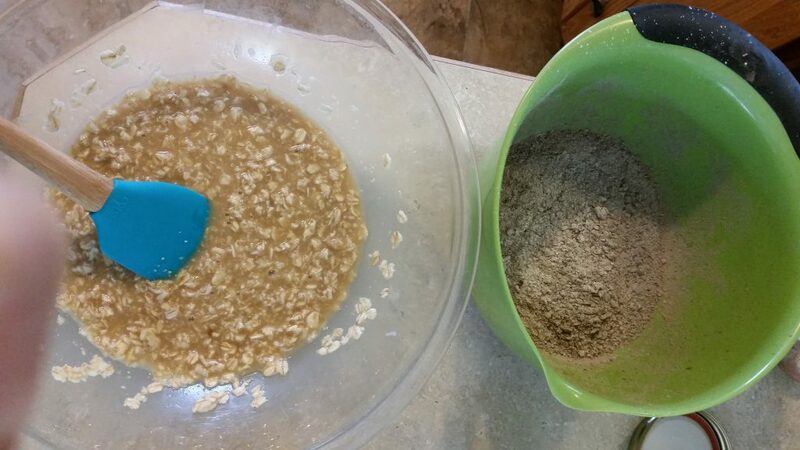 I ground more flour yesterday for the loaf of bread which is in the oven as I type. I am still enjoying watching the flour fall into the measuring cup. Still trying to figure out the camera, especially the lighting. In the meantime, the usual chores are still happening. 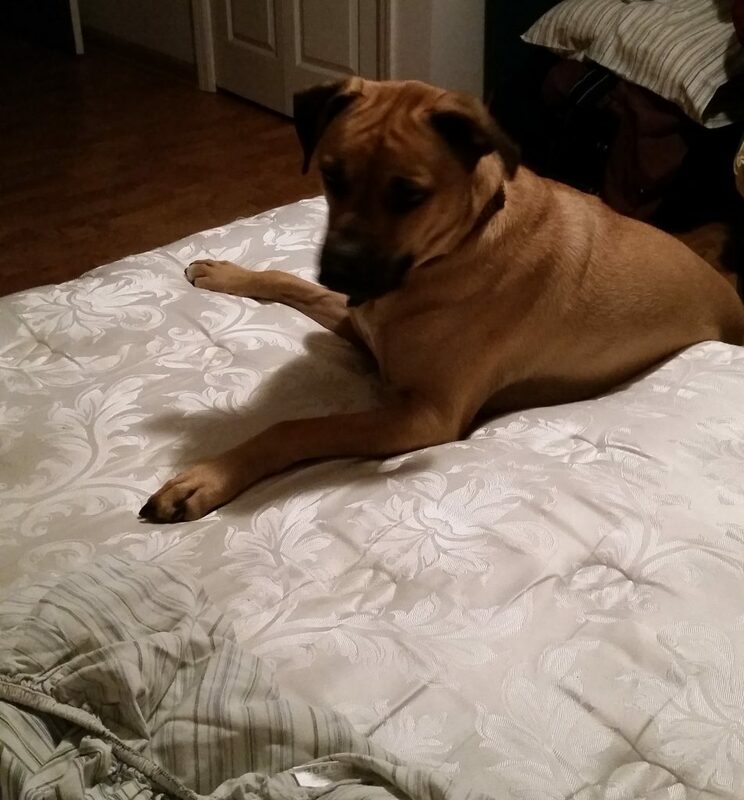 Fargo continues to be quite helpful, especially when it’s time to make the beds. Also, yay me, I logged a whopping two miles on the treadmill Monday! Hopefully I’m going to get a little more back on track with that. Must I register for an event to keep myself motivated? 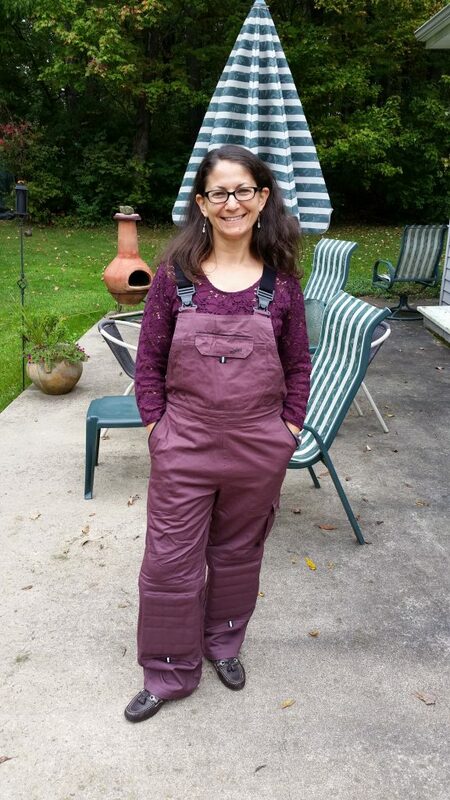 I took the Rosie’s Workwear (http://www.rosiesworkwear.com/) overalls I ordered at the Mother Earth News Fair for a test run today. I LOVE them!! 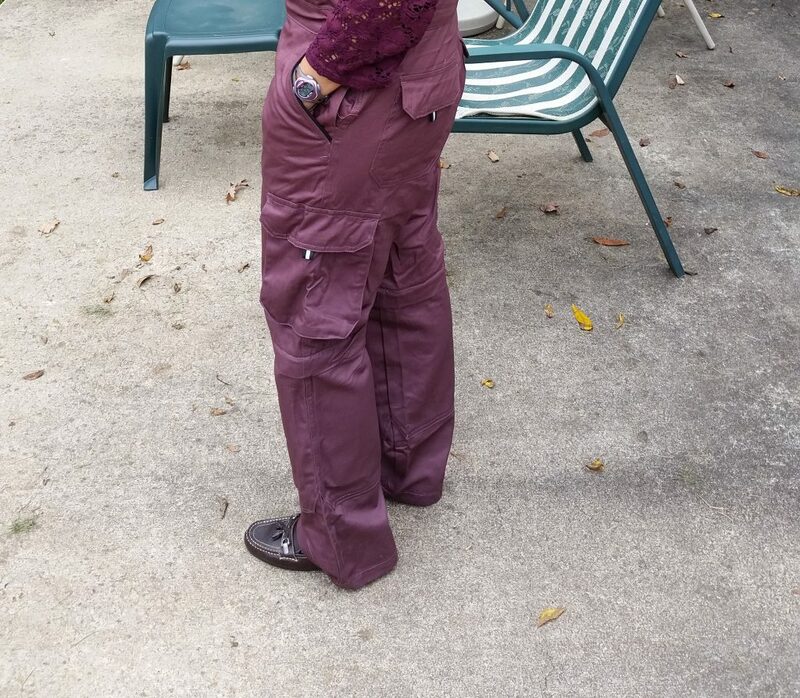 I had hubby take pictures when they first arrived (ignore the work shirt/socks/shoes which don’t go with the overalls). 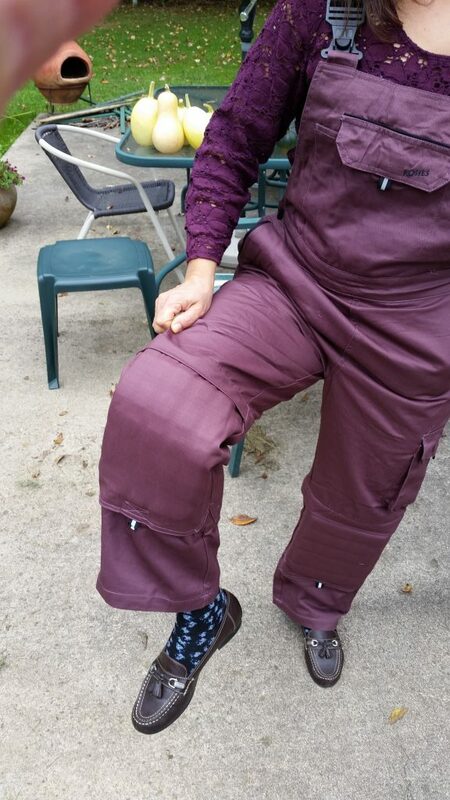 Removable knee pads (I did not use them today). Lots of very cool pockets. In other news, I started a top secret cross stitch project. And by started, I thought about how I am going to approach it. I will share pictures if it turns out as I’m hoping. We made yogurt again, and it came out delicious again. Yes!! I had a gingerbread disaster cake. I have no idea what went wrong, but yikes! I had to quick throw a baking dish underneath to catch the cascade of batter flowing over the sides. 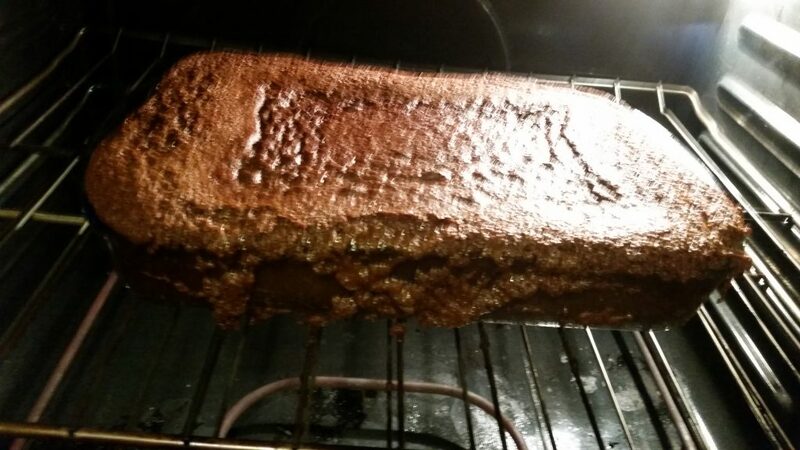 The good news is that it tasted fine. Really, no idea what happened. 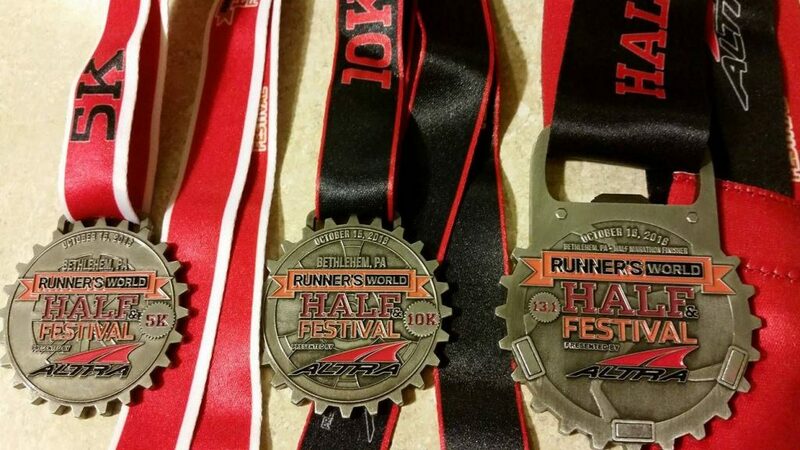 My friend who ran the Hat Trick with me discovered that our medals had magnets, so they could do this cool thing. 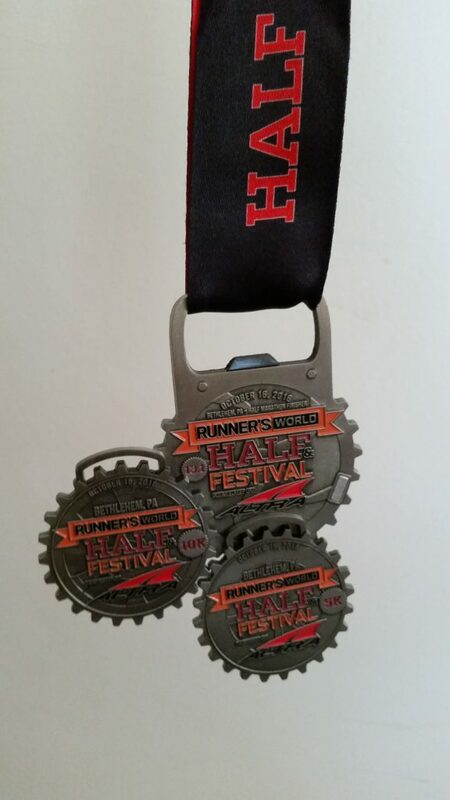 If I had done the Friday trail race, for a total weekend mileage of 26.2, I would have gotten the medal to attach to the remaining magnet. But even without it I think this is way cool! 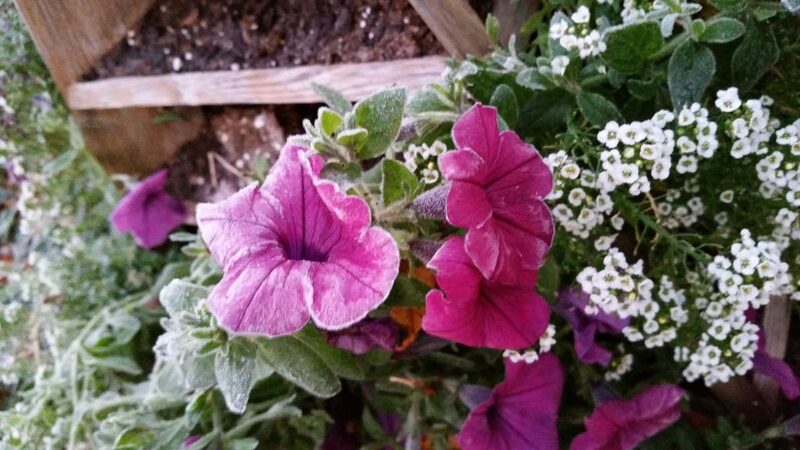 First frost a few days ago took it’s toll on some of the flowers, which looked pretty in the morning. 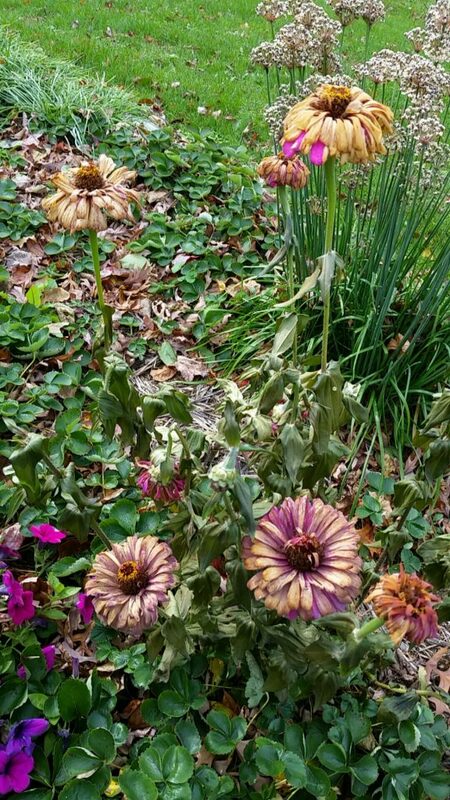 But the zinnias did not look so good later in the day. 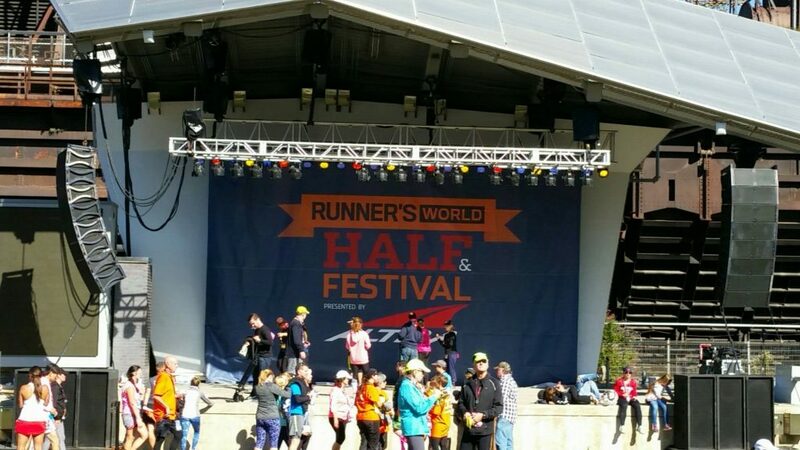 I had my doubts, many of them, going into the Hat Trick (5k and 10k Saturday, Half on Sunday) during the Runners World Half Festival last weekend. My achilles was aching, I had an IT Band flare up a few weeks back, I walked somewhere in the vicinity of 24 miles during travel the previous weekend, and I’m just not a strong runner. I was fairly certain I could do the 5k and 10k on Saturday, but I was waffling about the Half, even pondered just giving up before even starting and switching to the “5 and Dime” at the expo. But I didn’t. It was a crazy beautiful weather weekend. 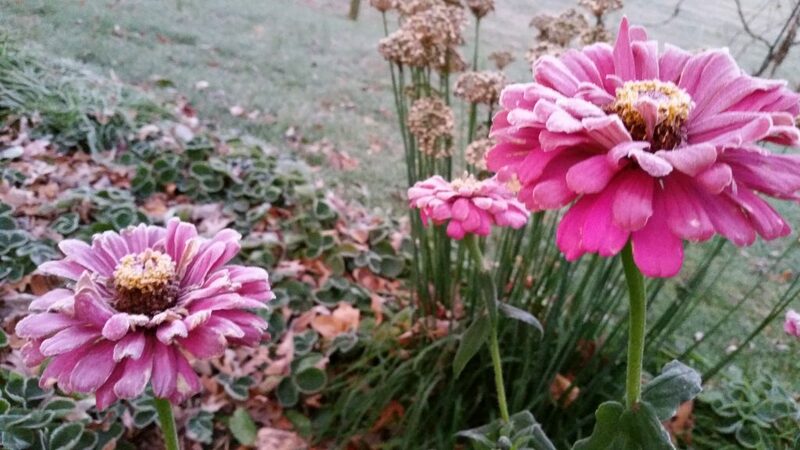 Started out super cold on Saturday morning, in the low 30s, but blue skies after a beautiful sunrise. 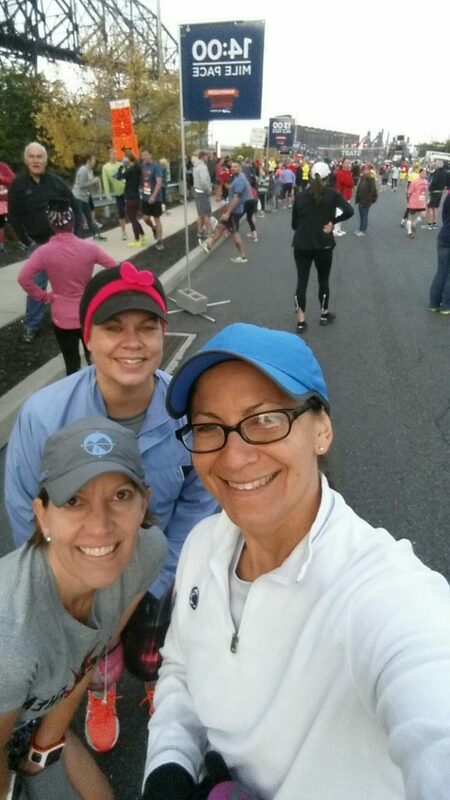 My running partner, Monica, and I met up with my wonderful high school friend, Beth, who also was in for the Hat Trick. Monica and I had our hats, gloves, fleece, etc. for the 5k. Beth hung with us a while pre-race, but she is an impressive runner, so she moved up to the faster pace section before the start. Monica and I took it slow, knowing we would need to conserve…and because we’re slow. I think I felt my worst during the 5k, but got warmed up some by the end. The highlight for me was getting to high five THE Bart Yasso just before the finish line! After the 5k we found Beth and waited around together for the 45 minutes until the 10k started. I ditched the extra fleece hat and pullover. Given that I hadn’t felt very good for the 5k, I wasn’t really sure what would happen with the 10k, but we lined up in the same pace area as we did earlier. The 10k course was beautiful! A few more hills, but also Main Street and some historic neighborhoods. I actually felt better and enjoyed myself more. Unfortunately, Monica had hamstring pain about the half way point. She stayed strong and our overall pace was not far off from the 5k pace. We felt very proud of that! 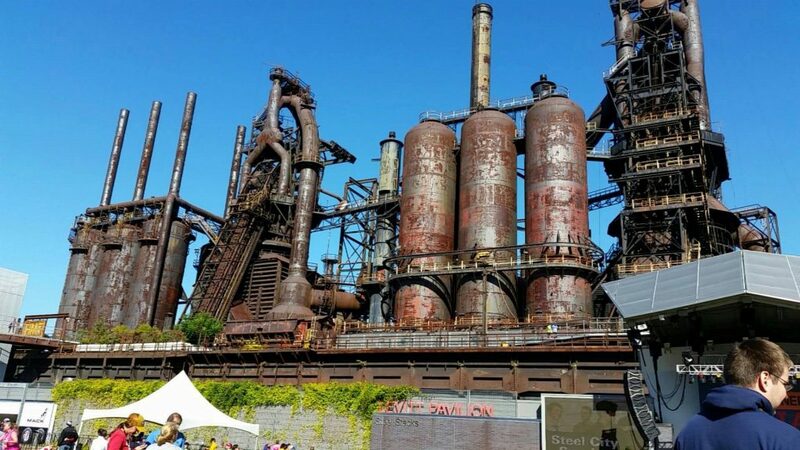 The steel stacks made the perfect central location for everything that went on over the weekend. There were also indoor bathrooms and warmer places to wait before the races. Unfortunately, neither Monica nor I felt great the rest of Saturday. 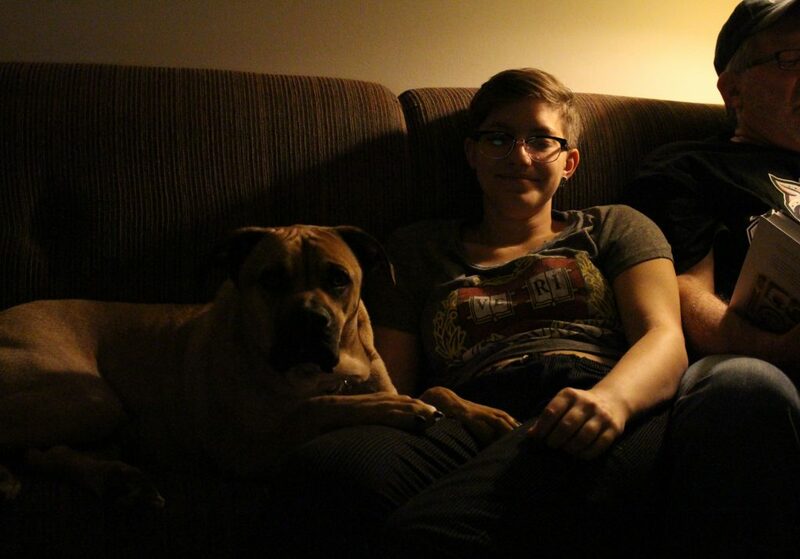 We relaxed, napped a little, and took a walk in the evening to try and loosen up. Monica did what she could to address the hamstring issue. I was not feeling confident about the Half. The next morning was about 10 degrees warmer. Still chilly, but not nearly as uncomfortable. I had on a lighter fleece and gloves I could toss. Got a fun starting line selfie. As you can see, we were in the back again. Beth moved up to her quicker pace a few minutes before the start. Monica thought her hamstring was feeling better, but it didn’t last. We had a pretty strong first 2+ miles, but then she was hurting. Again, beautiful course, Main Street, neighborhoods, residents out cheering, lots of hills. LOTS OF HILLS!! It stayed cloudy until the last two miles, so perfect temps. We definitely went even slower than our usual slow due to the hamstring. 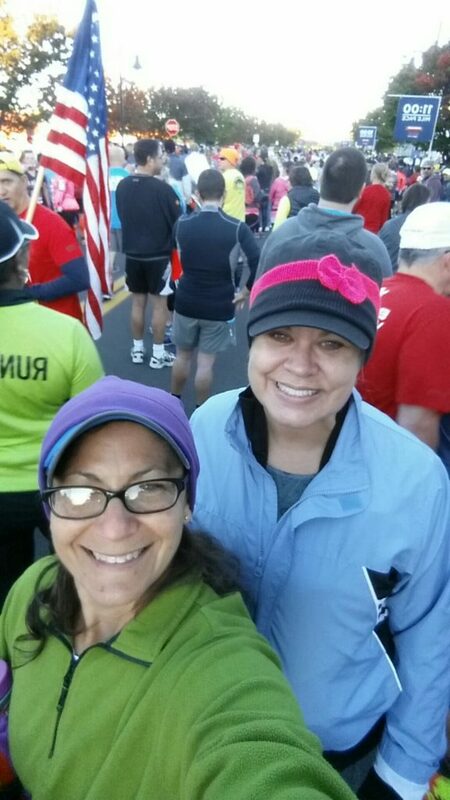 As hard as it was for Monica, it did allow me a little extra energy, so I thanked every first responder and volunteer along the way, cheered for runners on the few out-n-backs, encouraged people we passed or who passed us, and just took it all in. I felt way, way, WAY better than I anticipated. As we got close to the finish line, there were a lot of runners who were leaving (because they finished long before us) and they encouraged us and we congratulated them. The high school marching band members were leaving and I thanked them all for coming out to play. I high fived spectators who hung around for the back of the packers. And, one of the best parts, was seeing Beth along the side, near the finish line, cheering for us. She had finished over an hour earlier with a rockin negative split run. These are some happy faces. It was a fantastic weekend overall. I am proud of myself for attempting something way out of my comfort zone. The hubby, the girls and my parents were proud of me, which means everything. I need to thank my family, Beth, Monica and my Running Girls for believing in me and for encouraging me. I am very proud of Monica because she pushed through the HILLIEST course I have ever been on, with a bum hamstring, to finish. THE HILLIEST!! Check out these cool medals. Two mornings later, the quads are still complaining (they have been loudly complaining since the finish line on Sunday), but I feel pretty great overall. Just a fantastic weekend! I was all set to write my Hobby Adventures post, and then I got derailed by my long run this morning. 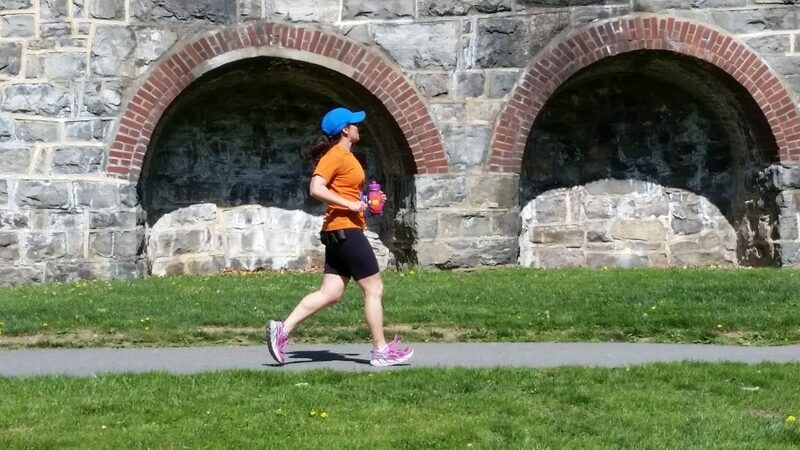 I haven’t talked about running as much lately, partly because hubby’s running days are over and that’s been hard, but I’m still plugging away. I have that crazy (for me) two day event coming up VERY soon. I haven’t been as dedicated with my mileage, but I have been running 4 times/week with back to back weekend runs. This morning was supposed to be a 10 miler, the last long run of the training cycle. Just over a week ago I did something, I have no idea what, to my Achilles tendon. All of a sudden I had pain/burning and then swelling. 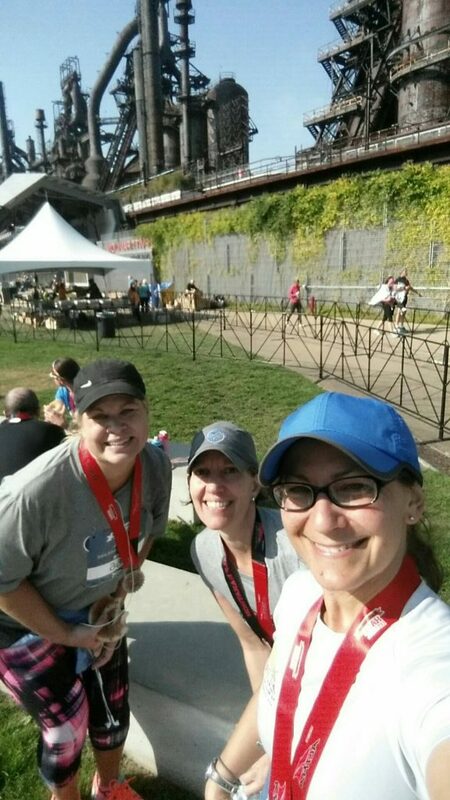 I was freaking out, but between my hubby, my Running Girls, and my friend Beth, I calmed down. I iced and did some exercises and stuck with bike time last week, but I missed all weekend running miles, and it was supposed to be my biggest mileage weekend. Yesterday I tested the Achilles out with 3.5 on the nice flat treadmill. Seemed to go pretty well. I was nervous about this morning. I went out there and took it slow, walked up all of the big hills, etc. What I didn’t do, was plan for my IT Band to CRAP OUT ON ME! This honestly has happened at least once each training cycle for the past 10 years and I usually have issues in the final miles on race day, so you think I would have been prepared. I always worry about the darn ITB, but I was so focused on the Achilles that it caught me by surprise. I have to say, that this week, with the bike time, I can’t remember if I stretched the same way as I do after each run. My hips did feel tight in the early miles this morning. Maybe I unknowingly altered my gait to try and baby the Achilles. No matter what, it stinks and it really made me sad and angry and nervous. It still hurts right now, though usually within a day or two, with stretching, it is fine. That is what I’m hoping. Best guess, I did just over 8 miles. This was not how I wanted the morning to go. There was going to be a lot of finger crossing for the body to cooperate on race weekend, and now there will be toe crossing as well. On the up side, I already have two cute outfits planned for race weekend. 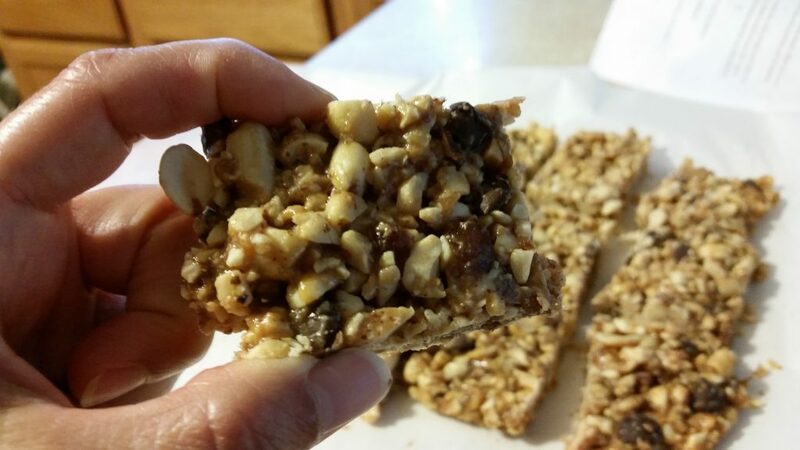 We love chocolate and we love peanuts/PB, so when Chocolate Peanut Butter Snack Bars came up on Sally’s Facebook page, it definitely went on the “recipes to try” list. 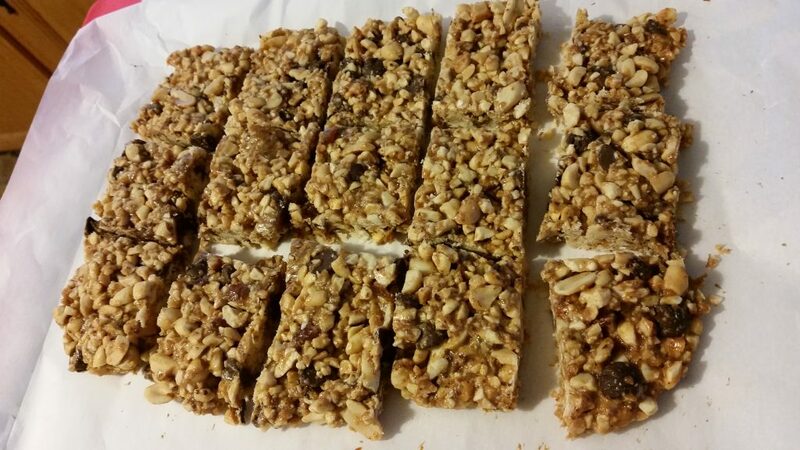 I had bought almond meal for a previous recipe that I never actually made, and I had bought dates for another round of Date Cake, so we actually had all of the ingredients necessary (although regular sized chocolate chips vs minis). 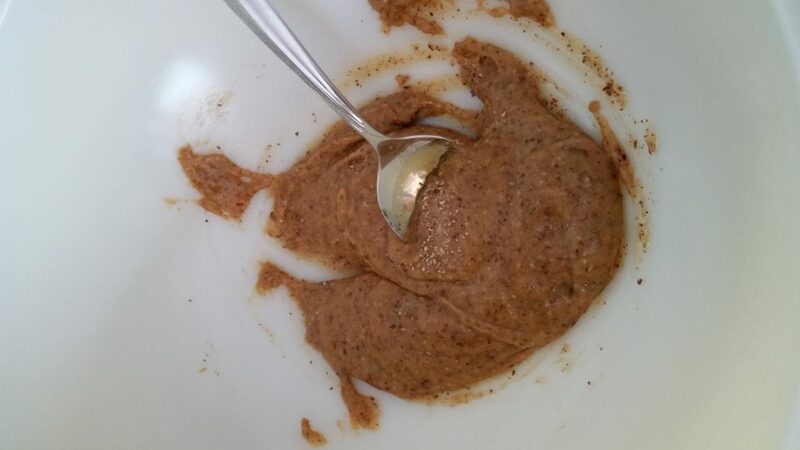 I was tempted to just eat the honey/PB/almond meal/vanilla mixture with the mixing spoon. I did try to chop up the chocolate chips a little, but FYI, the food processor really just makes chocolate dust, not smaller chips. 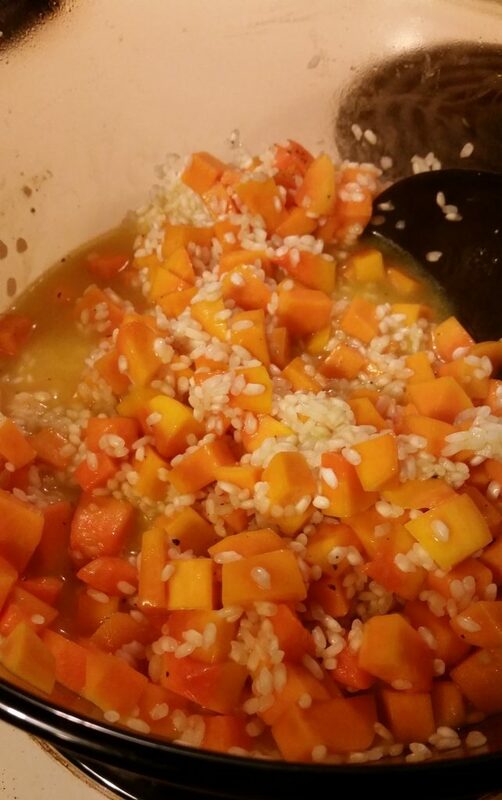 It takes some patience and a little muscle to mix this stuff up well and then press it into the pan. Pretty sure mine were way thicker than Sally’s. 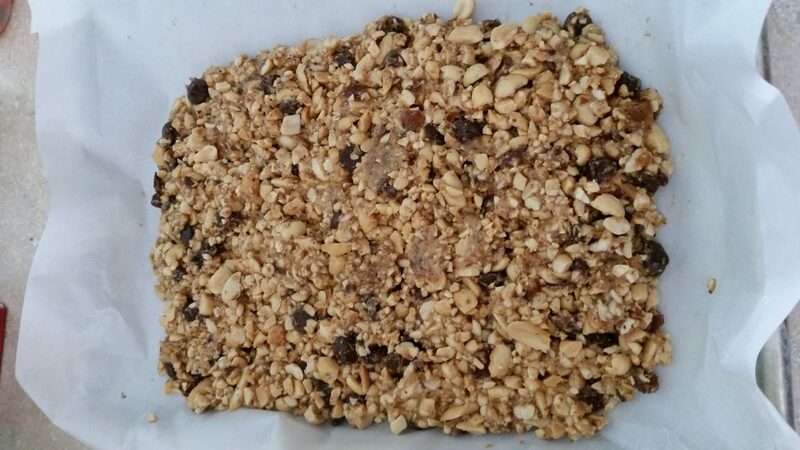 I’ve made some different granola/energy type bars before, this is the first one that included baking time. And after the baking time is a lot of cooling time, both on the rack and in the fridge. I opted not to add the extra chocolate on top, even though it looks pretty in the pictures. Do they look yummy or what?!? As a matter of fact, they are incredibly yummy. I am planning to try and use them instead of snickers for my upcoming long run. The biggest problem I foresee with this plan is that they might get too sticky, but I’m willing to risk it.